Achieving the perfect cyclocross bike fit is about finding the correct balance between comfort, power and bike handling. Developing the perfect position for you requires combining the theory with a healthy dose of tweaking and experimentation. If you have had a professional bike fit for your road bike, this is a great starting point. If you haven’t had a bike fit, this isn’t a problem and, provided that you’re comfortable with your road position, you should still take this as a starting point. If, however, you find that you’re in any pain or discomfort while cycling, we recommend that you contact a professional bike fitter and FSA dealer or even a physiotherapist; cyclocross is an incredibly demanding branch of cycling and it will amplify any minor aches or ailments. Priorities for road and cyclocross racing positions are broadly the same; speed and comfort. The difference comes from how riders go fast in cyclocross when compared to the road. To ride fast on the road, you need to go long, low and narrow to optimise aerodynamics. Riding fast in cyclocross is, however, a little more complicated: Average speeds rarely top 25kph – a speed that many top road riders associate with riding uphill – and if you watch the best cyclocross riders in the world, you’ll notice they go hard and win races on the technical sections of a cyclocross course. No one gets dropped on the flat cross sections, so don’t go aero thinking that you’ll benefit there. Starting with something that should be broadly consistent with your road position, how can you make sure that your position will help you to ride fast on the hard parts of a cyclocross course? Your saddle height and setback should be essentially the same (after you have adjusted for the different stack height of your cyclocross shoes and pedals). Choose from our range of seatposts with different setbacks to get this dialled in. With your saddle height set, take a multitool out on your initial cyclocross rides to adjust as appropriate – you still need to put power out, but you might find that you need a slightly lower saddle to cope with dismounts, remounts and technical descents. To go fast on difficult sections of a cyclocross course, you need to prioritise comfort and bike handling in your bike fit. Comfort is not a matter of getting a padded saddle, it’s rather a matter of having a position that still works after a couple of crashes, bursts of running and 50 minutes of maximal sprints in freezing conditions. Just as races are won on the harder sections of a course, they’re generally won towards the end of the races too. Set a reach and saddle to bar drop that are shorter and smaller than your road position. 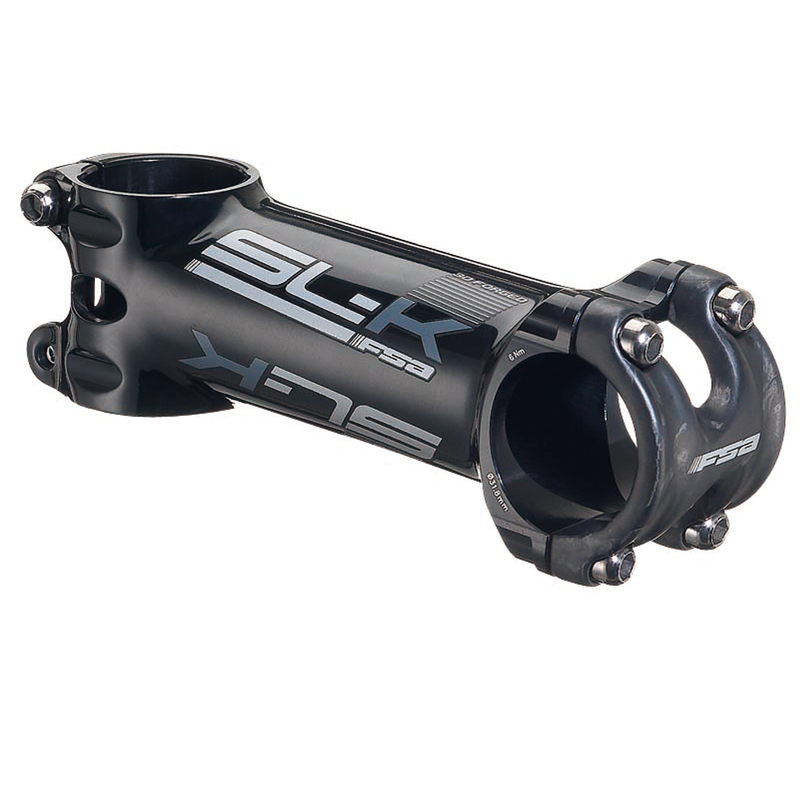 A stem such as the SL-K will be durable and light – ideal for cyclocross. Plus, the anodised finish will withstand whatever your cyclocross season throws at it. After a shorter reach and lower saddle to bar drop, wider handlebars are the best way to improve bike handling. As a general rule, you should add 20mm to the width of your road handlebars, so, go for 440mm bars if, like many, you use 420mm bars on the road. As shown by the wide variety of positions that professional cyclocross riders use there really is no wrong position for cyclocross as long as you feel comfortable on the bike, can put the power down and your bike handling feels good.